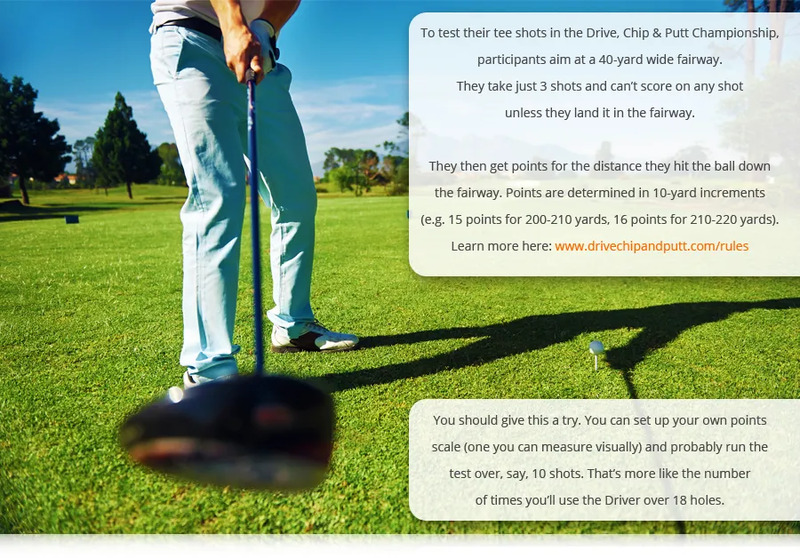 The Drive, Chip & Putt Championship is an event for Junior Golfers that measures their skills in three critical areas: length and accuracy off the tee; greenside chipping; putting. Have you considered measuring your performance and tracking your improvement? Having a ‘test’ like this is a great way to end practice and monitor your improvement. It’s also great fun to play this sort of event with friends. Often, the keys to hitting longer tee shots can be found in the same improvements that will deliver more accuracy. If you’re not landing 8 out of the 10 shots in the generous fairway, come and let us take a look at your swing or contact us now.